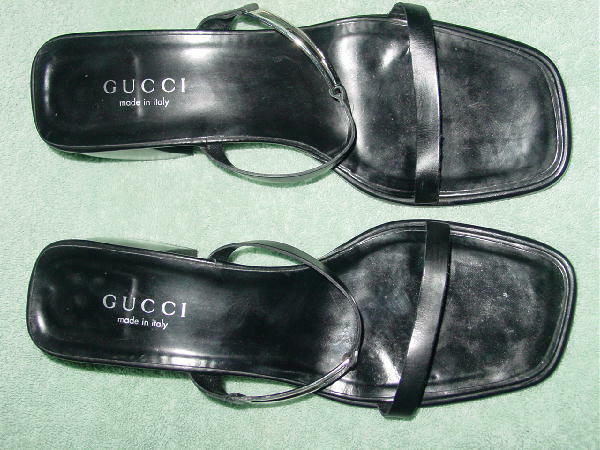 These black leather sandals are by Gucci and were made in Italy. 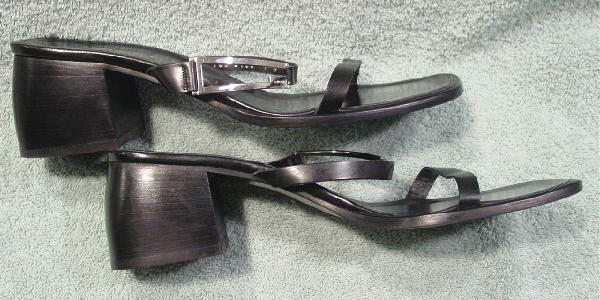 They have an angled toe area and black wooden stacked heels. 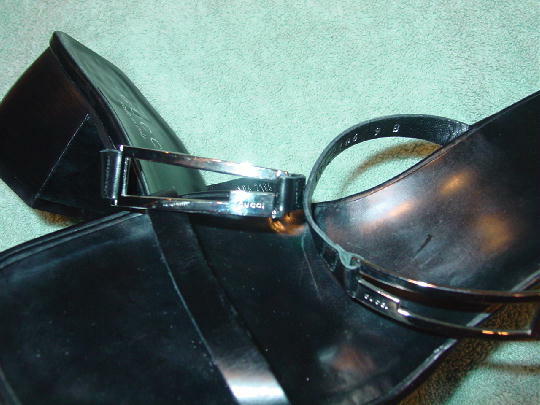 The vamp area has a thin leather strap and another one over the arch area, which has a silver-tone metal attached ornament. The cutout ornament has Gucci etched on the lower side near the center area. 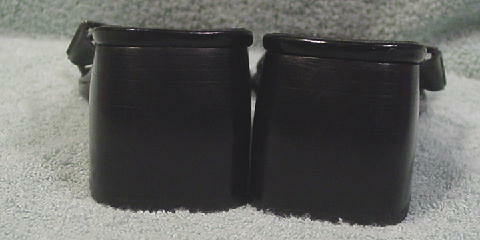 They have black leather insoles.